VMobile subscribers, be careful, be VERY CAREFUL! Ok, so I got a Vmobile card so that I could transfer load to our household helpers (to save them the trouble of having to go out and walk to load their cellphones). I loaded it with 500Php in order to use it to load our helpers’ phones. While filling out the registration, it would ask you for your name, address, and cellphone # you’d want it registered on. I only opted for the transferring of load via cellular phone and not via internet. 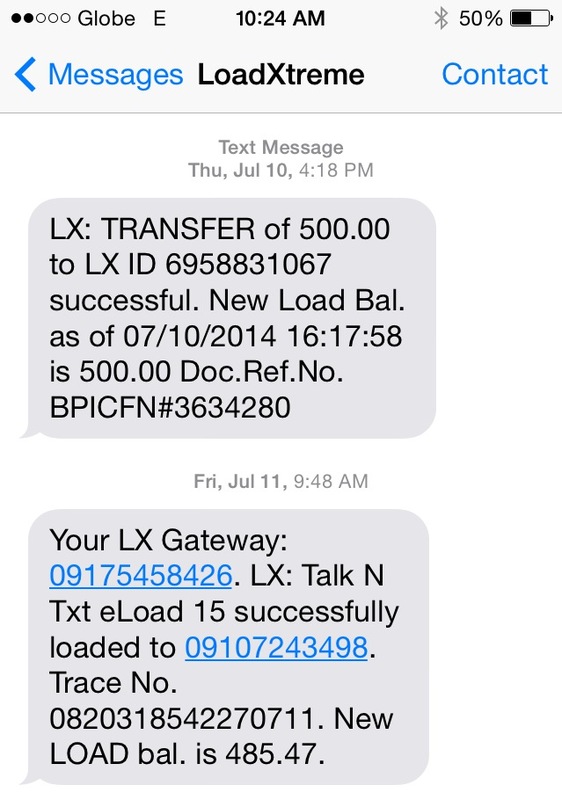 I made my first transaction and was able to load one of our helper’s phones with 15Php for Smart’s regular load. Then I loaded it again 4 times for 30Php/transaction for the following days. 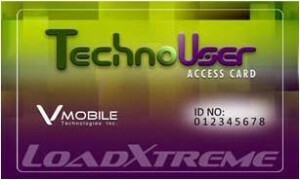 So you can see here that I started off with 500Php in my vmobile loadxtreme account. Then my first transaction in sending load was 15Php. I had a balance of 485.47Php. Then notice how it becomes 484.47Php the following day when I checked my balance. It’s fine, it was only 1Php missing so I din’t bother reacting to it. 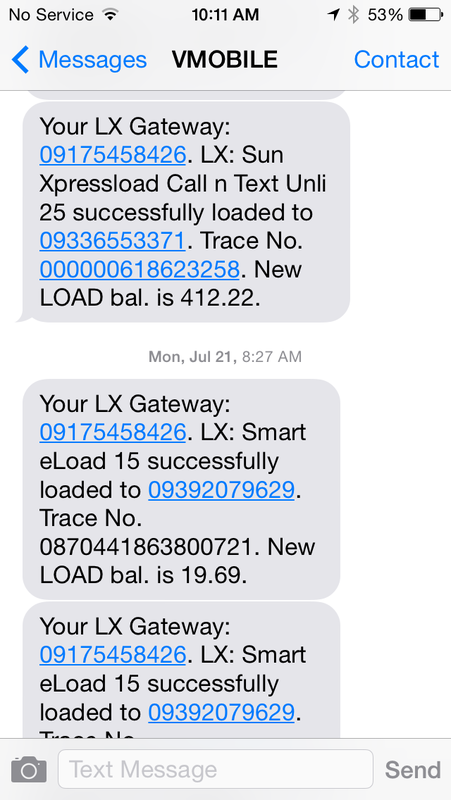 And so I did a few more transactions of (2) 25Php sun cellular loads and (1) 15Php smart load. Which should have left me with 419Php but I somehow ended up with only 412.22Php. Once again, I just didn’t mind it as I was busy doing something else. But when I checked my balance after I sent another 15Php load and it said I only had 19Php left, that was time to stop and really get to the bottom of it. This time it was not just a few bucks, we were talking about hundreds already. Notice the first two messages. 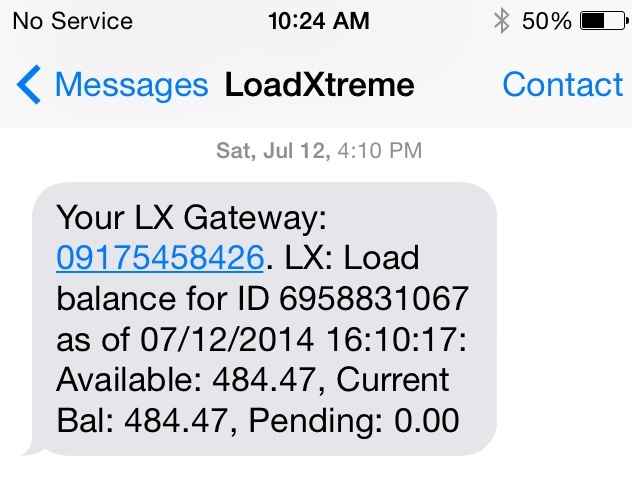 My last balance was 412.22, then I sent a 15 peso load which should give me a balance of at least 397Php. So I called Vmobile’s customer service and they said that I had transferred via internet 300Php and 100Php to a smart subscriber! 400Php was lost just like that! They said they couldn’t do anything about it since it was already sent and that maybe the system was hacked or someone got to my password. But then again I told the customer service rep a billion of times that no one could get it coz I only transfer via cellphone which is always with me and I didn’t register for internet transferring. Then I also mentioned that I didn’t receive any confirmation of the 100 and 300 peso transactions. Then he goes and tells me “Ma’m di naman po kasi lagi nag sesend ng confirmation text kapag nag pass kayo ng load.” WTF!!??? Talk about security and ownership! Given that there are a lot of Vmobile members doing their networking, I’m pretty sure a lot of hard working Filipinos have been victimized and lost their hard-earned money and Vmobile will not do anything about it since they already got their profit. Oh how I wish companies would start taking responsibility and really have good customer service when they say they do. I expected more from them. So for those out there who do transactions with Vmobile, please be very careful and don’t let them take what’s not theirs. For sure I will be taking this to the proper authorities to stop unfair treatment, theft, and prevent fraud to happen to others as well.